Stuff's a-brewin’ and it ain't tea. Between work, nipper and fending off bureaucratic idiocies in the post, the tea stockpile has been allowed dwindle to alarming levels. That mountain I brought back from Ireland in October is down to a few last miserable bags. It’s gotten to the stage where I’ll have to fork out through the näse for some locally purchased Barry’s Tea. 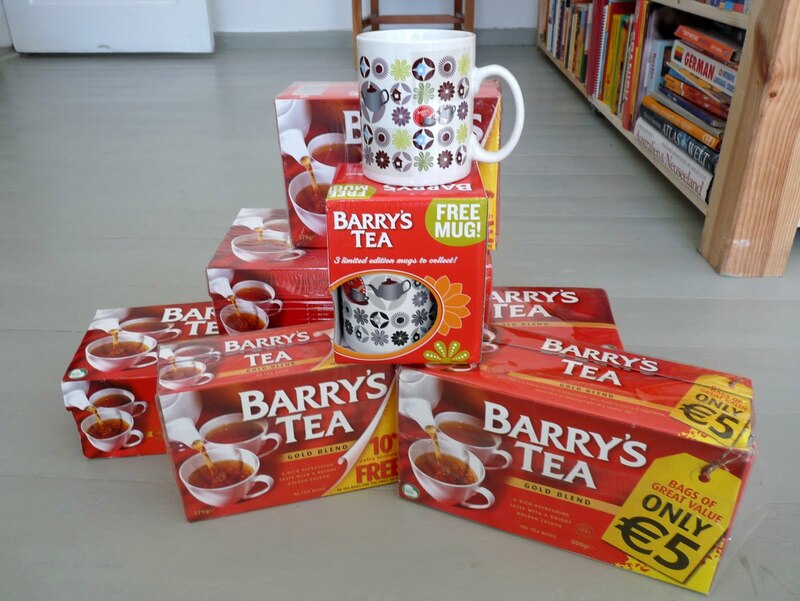 You can buy it online at Barry’s now, but they charge more for postage to Germany than for the tea itself. I’d rather stick 160 bags on an envelope of stamps. Here, Deutsche Post actually charges postage if you order stamps online. Krass in ein Faß. Don’t start me on Deutsche Post – those stampers should stamped out. They send back letters here if there isn’t enough postage, fair enough, but not before ruining the insufficient postage you’d bothered with in the first place. Lesson: never write your address on the back. (If your Christmas card hasn’t arrived by now, you know why.) Forgive my seemingly harsh view of anyone connected with stamps or stampers; it’s a post modern view of modern post. The tea situation is almost as critical as my hair, now officially ridiculous. Rid-iculous. I’ll have to get rid of it until it’s iculous. A hippie would be embarrassed. Someone told me last week: “I recognised you from the hair.” She didn’t mean just the one either so tomorrow I’m booking a haircut. A proper one. Well since I live here and happen to be pratically swimming in the stuff would you like some sent to you? i could do barrys or lyons, we have a couple of extra boxes. I'm not a scarey stalker i swear it haha! I just know what its like to be far away from home and cant get what you want! Cheers Rach, that's very kind of you! Not necessary though - I don't want to burden you with the postage either, so I took matters into my own hands and ordered 240 bags from Barry's. Hopefully they'll arrive before I run out completely. In any case I'm surprised you have Lyons. That stuff is almost as bad as the inferior German shite tea they have here. In fact, I'd go so far as to say the Ostfriesischer Tee is better. Can't believe you're swimming in the stuff - now that is luxury! I decided to try out Barry's online shop recently. 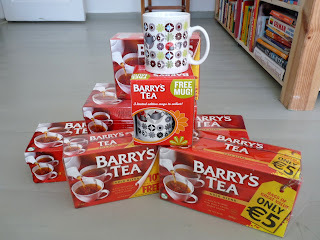 Around €10 Euro for 160, arrived within a week wrapped in lovely Barry's Tea wrapping paper. I think it's worth it. 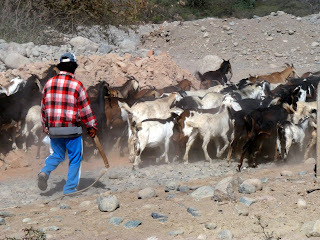 As we're living abroad it's not just a commodity anymore it's a luxury, so we have to be willing to pay the price - which is reasonable enough. On the downside, our friends at Deutsche Post (otherwise known as 'those fuckers') got nosey and ripped the corner open to have a smell of me tea bags. The fuckers.